Measures the air permeability of all kinds of flat materials as well as foam cubes. Our most successful instrument. Wide measuring range of 1-10,000 l/m²/s at 20 cm² test area (0.1-1,300 ft³/ft²/min at 38 cm²). For filter media: Determination of the pressure drop at a given air velocity. Optional FX 3300-PNA Pneumatic Clamping Assembly for test samples with a high percentage of side air. Automatic control of the test pressure. Fast and simple sample clamping. Touch screen display for digital and graphic display of the test result. Quiet and mobile instrument, perfectly suitable for use in the laboratory and in the production area. 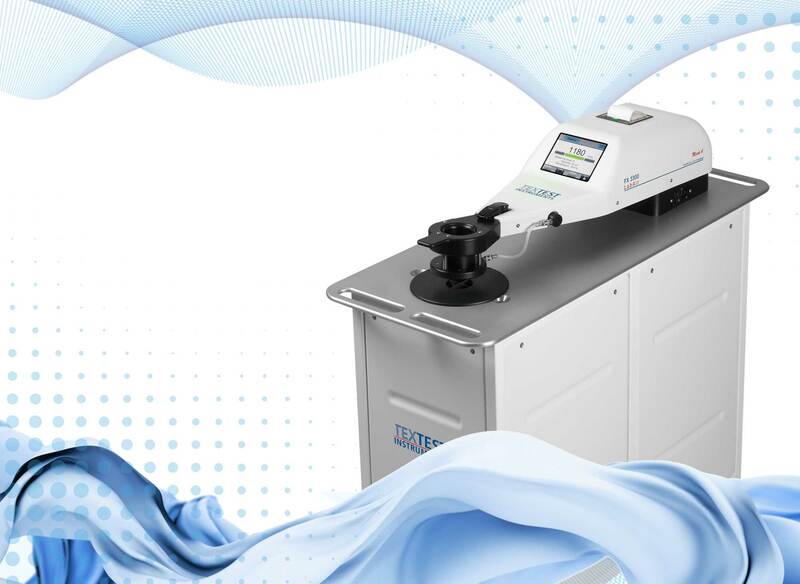 Automatic cleaning function of the orifice provides for stable test results. Data ports: RS 232 and USB. Ethernet and optional WLAN for direct network access. Can be connected to a PC with the Evaluation Program L 5110 LABODATA III.